Afraid of the dentist? You've come to the right place. Anyone who has taken their child to the dentist for consecutive appointments knows stress. And if your child is like most kids (with an attention span no longer than it takes to read a tweet), then no amount of prizes from the prize basket will alleviate their unhappiness. To put it plainly, going to the dentist can be as taxing for both the kids and the grownups. So what’s a parent to do? As a parent, you know that your child is in a constant state of change as they approach adulthood. One thing doesn’t change, however, and that is that you want a safe environment for your child to receive optimum care. Pediatric & teen sedation dentistry address the biological variations that occur as a child grows to create an experience that will help him or her have the benefits of a lifetime of care without fear of the dentist. Needless to say, every child should be individually and carefully evaluated for his/her suitability. Sedating pediatric dental patients is usually recommended for otherwise healthy kids who require extensive dental treatments and/or are likely to be anxious in unfamiliar settings. Sedation dentistry allows dentists to accomplish more during each office visit, reducing the number of total visits a child requires – which often means parents miss less work as well. 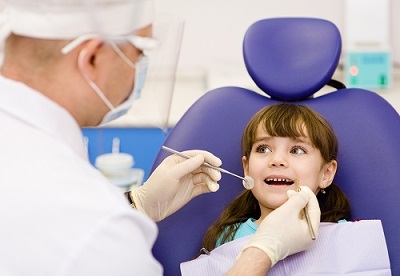 As important, if not more important, sedation dentistry relieves children of much of their anxiety – meaning they won't develop a lifelong phobia of visiting the dentist. Children with non-dental medical conditions frequently can be safely and effectively treated using sedation medications. It is crucial, however, to alert your dentist in advance to either health or mental conditions that might impact treatment, and to provide the dentist with a full list of all medications you're giving your child. "The phobia that many adults have today regarding dental treatment is often the result of poor dental experiences when they were children. Children today receiving dental care can be treated with safe orally administered sedation. Utilizing modern, safe sedative medications, a child can be conscious, yet sleepy, with no memory of their dental treatment. With proper case selection, utilization of monitoring equipment, and established emergency preventative and preparedness protocols, a SedationCare dentist, and team can safely perform sedation on appropriate children in the dental practice. Children aren’t little adults. They have a different metabolism and different airway. Dentists who work with children and teens take special training to create a safe and comfortable dental experience for our kids so they can grow up without the fear and anxiety many adults experience. Just like adults, however, a careful review of medical history and discussion of the child’s needs is important to choosing the right medications and protocol. Usually a combination of nitrous oxide and oral medications (sometimes under the tongue) are used to create a great experience. As a parent, it's important to research pediatric sedation fully to know if it is the right choice for you and your child. There’s no denying that pediatric sedation has been controversial lately, as a few high-profile news stories have extended the unsafe practices of a few poorly-credentialed doctors to all sedation dentists, the vast majority of whom practice to the highest standard of safety and have a long track record of successful treatment. DOCS Education teaches some of the safest protocols in dentistry, using the least amount of a very safe medication necessary to achieve anxiolysis. 1. Avoid fear in children too young to realize the dentist is safe. For children too young to understand that the dentist is necessary, sedation can help minimize fear and discomfort. Children who have dental problems early in life often come away with a fear of the dentist and a dislike of anything oral health-related. This can lead to poor hygiene and an avoidance of the dentist later in life. Sedation can prevent these upsetting memories from forming. 3. Help children with severe dental needs get treatment comfortably. Few people find it easy to sit still at the dentists for extended periods, and children are no different. For kids who need a lot of work done, sedation can help them be more comfortable and hold still longer. 4. Fewer appointments make life easier for parents. It’s a challenge as a parent to schedule multiple appointments around work, school, childcare, and activities. Many parents intend to finish a treatment plan but are unable to make every appointment. Sedation condenses extensive treatment into one no-memory appointment that’s easy to plan for. 5. Shorter recovery time and easier management of discomfort. Dentists can do their best and most careful work on a sedated patient, which makes for a faster recovery time. Additionally, the lack of stress hormones and fear reduces inflammation and speeds recovery as well, and the patient sleeps through the worst of the post-op discomfort! Sedative medications help relax patients by slowing the action of the central nervous system. Your child will remain aware of their surroundings but will be less responsive to the sound of the drill or the smell of the materials. Sedation will also produce an amnesic effect in your child – which means although they will be conscious during the appointment – it is likely they won’t remember the appointment the following day. They never have to develop bad memories of the dentist. Sedatives will also help reduce your child's sense of pain. Today’s doctor draws upon a continually-expanding list of new sedatives to help lessen pain and dental anxiety. Doctors weigh a number of factors carefully to assess which drug will be the safest choice in a unique situation for your child. The safety of sedation medications is measured by pharmacists and physicians on a scale called the therapeutic index. The larger the number is on the scale, the safer the drug. What drugs do dentists use when sedating children? Are they safe? Before agreeing to allow your child to be sedated during a dental visit, do ask your dentist what specific medication s/he plans to use. It’s a good idea to write it down, as well as the planned dose. The recommended sedatives and doses for children are typically different that what sedation dentists use with adults. The state-of-the-art protocols in pediatric sedation, often formalized by state regulation and national guidelines issues by the American Dental Association, are intended to use medications that are as mild as possible and wear off quickly. Today, the most commonly used oral sedative drug in pediatrics is Midazolam (Versed) which is not only a very safe sedative drug with a reversal drug should an emergency occur, but it is one of the most popular drugs that provide amnesia so that the child has no memory of the appointment. As a parent, it is crucial that you always inform your child’s dentist of any other medications s/he takes – even over-the-counter drugs – and any health or psychological conditions that affect your child. Often, if you ask the dentist ahead of your office visit about what sedation medication s/he is likely to use, you can research the drug yourself on the Internet and ask any questions you may have before treatment begins. Other than escorting my child to and from the dentist’s office, what else can I do? Most importantly, let the dentist (or a member of the dental team) know of any new medical conditions (even a cold or flu) or other health developments that could influence the use or dosage of sedation medication. It is especially important to alert the dentist to the last time your child had any food – which can be dangerous if consumed too close to the procedure. Be upbeat with your son or daughter, answering questions or concerns they might express with reassurance and plenty of love. If you do stay with your child during treatment, make certain not to ask negative questions – such as, “Is the dentist hurting you?” – that might give your child reason to be anxious. Is it unusual for a dentist to ask me to stay out of the room during my child’s treatment? Dentists vary in their preferences on this issue. Increasingly, dental practices feature open treatment rooms and many do permit – even encourage – a parent to remain with a child during routine procedures. If your dentist doesn’t permit this, ask why not. However, when a child requires sedation and complex treatment, the typical standard of care is to request that parents wait in the outer office. This is really in the child’s best interest, because anxious parents can sometimes distract the dentist or a member of the dental team by asking frequent questions – when the dentist’s full focus should be on your child and monitoring the all of your child’s vital signs. The idea of sedating my child during a dental procedure worries me. No child should ever be sedated by a dentist who has not received qualified, specialized, recent training in sedation techniques. In addition, the dentist and all dental assistants must be trained in airway support and other safety procedures for those very rare instances when a child has an unanticipated reaction to sedation. While many adults find it difficult to visit the dentist and sit still for long procedures, for kids and toddlers the experience can be even more traumatic and create an aversion to seeking dental care that endures into adulthood. Sedation, as properly dosed and applied to children, is not about minimizing pain. It is about eliminating anxiety and emotional discomfort. Moreover, often a child who is correctly sedated and closely monitored can complete more dental work in a single visit – which most parents and kids favor over having to return time and again for treatments. Does using sedation mean that my child will experience no discomfort whatsoever? The goal of sedation is to reduce your child’s anxiety and discomfort. Unlike a general anesthesia, such as might be administered in a hospital operating room, sedation dentistry is designed so that your child is still awake and can respond to the dentist. In addition to the sedation drugs given, the dentist will also give a local anesthesia drug that will “numb” the area of treatment. An important characteristic of the most common sedation medications for kids is that they produce an amnesia-like effect. Your child is unlikely to remember any anxiety or discomfort whatsoever. So is sedation dentistry, administered correctly, risk free? All medical procedures and medications carry with them some risk. This being said, medication or medications used should be the safest possible ones available today and used at a level to achieve only minimal sedation. Because your child remains conscious the entire time – and the medication used is mild– the risk is smaller than if your child were treated at the hospital under a general anesthesia. Oral sedative drugs should never be used at a high level to achieve deep sedation. Oral conscious sedation will never replace intravenous or inhalation deep sedation or general anesthesia. However, both of these come with a higher degree of risk. How do I determine the right dentist to treat my child with sedation? Choosing the right dentist should be contingent on a variety of factors, as we’ve indicated above. Having confidence in your dentist’s knowledge, training and procedures is of paramount importance. DOCS Education offers continuing education courses to both pediatric dental specialists and general dentists who treat children. When it comes to the issue of pediatric sedation, we believe what is most important is that your child’s dentist be properly trained, have sufficient experience, and be fully up-to-date on all related safety protocols. Both general dentists and pediatric specialists who meet these criteria will be capable of properly and safely administering sedation medication to your child. © DOCS Education 2000-2018 All Rights Reserved.